Adam Chodzko’s work as an artist demonstrates an ongoing interest in collapsing the past, present and future – in order to create ‘alternative realities’. In a number of film, slide and photographic works he has invented fictitious scenarios, set in a not-too-distant future, that blend the familiar with the strange. Through fantasy, wonder and make-believe, they compel us to re-consider our sense of place and community. 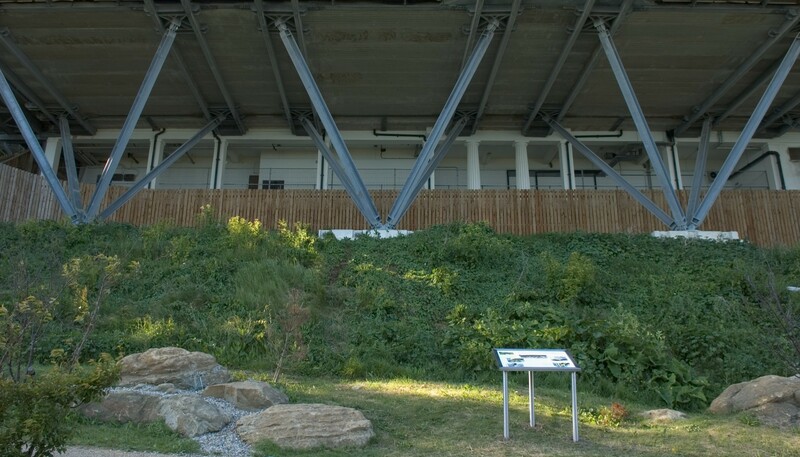 According to Chodzko the people of Folkestone were once gripped by a superstitious fear of inverted pyramids. 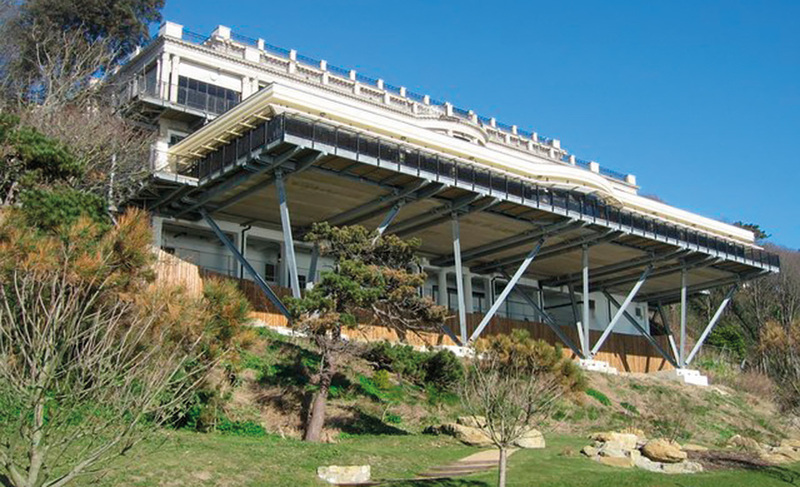 The triangulated beams designed to support the wide sea-facing side of the Leas Cliff Hall might look to some people like a clever piece of engineering, but there was a time when many considered them an unfortunate choice of structure. 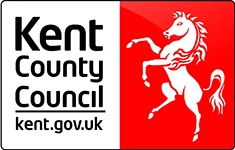 Residents believed that any misfortune that fell on the town (and the people of Folkestone are not slow to voice a grievance) was due to a jinx brought on by these ill-fated shapes. And so, says Chodzko these residents set about creating an elaborate ritual to turn upright these inverted pyramids and break the curse. Evidence of this, he claims, can be found scattered around the surrounding landscape. You don’t believe him? There is even an information sign telling people about it, so it has to be true, doesn’t it? 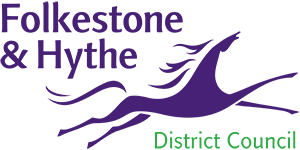 In Kent, England’s oldest county, there is no shortage of genuine history, but Chodzko has dreamt up a piece of Folkestone past and attempted to slip it into the town’s official identity. But paying close attention to the style in which factual information is presented, he transforms an invented story into something resembling credible evidence. He enjoys playing with our perceptions of truth, blurring the boundaries between fact and fiction, drawing us in using our willingness to be seduced by a good narrative, and then leaves us stranded for a bewildering moment or two in a kind of no man’s land between documentary and fantasy. What makes the path Chodzko leads us down particularly treacherous, is his ability to engage and include the people and places around him.